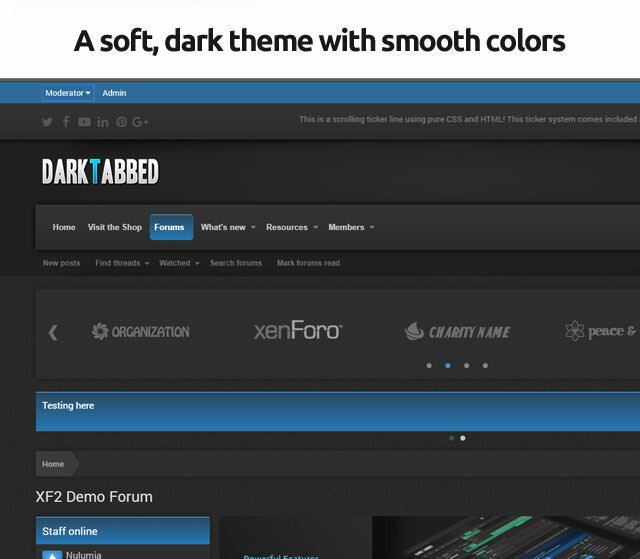 DarkTabbed for Xenforo 2 is here! 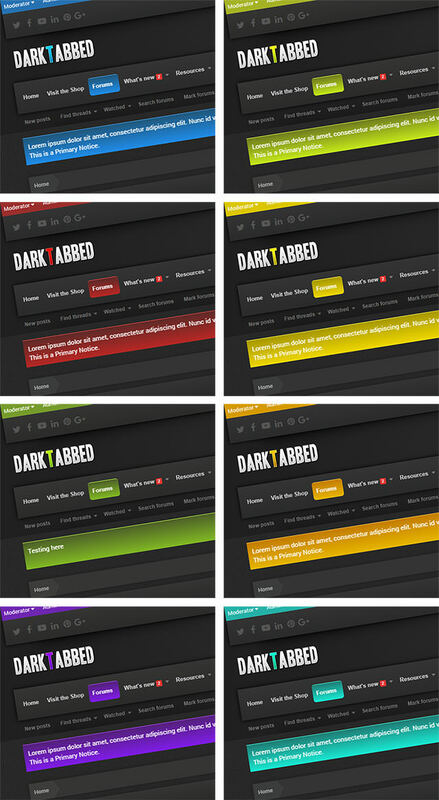 DarkTabbed is finally making its debut on the Xenforo 2 platform, after a great and popular run as a Xenforo 1.5 style. 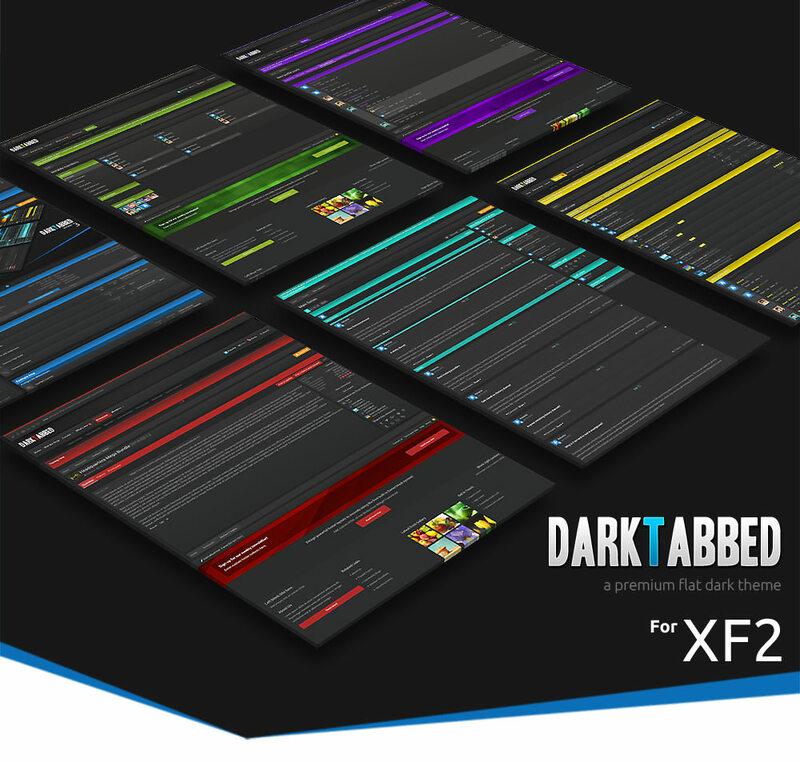 This release marks the first iteration of DarkTabbed for XF2, with many new features yet to come. 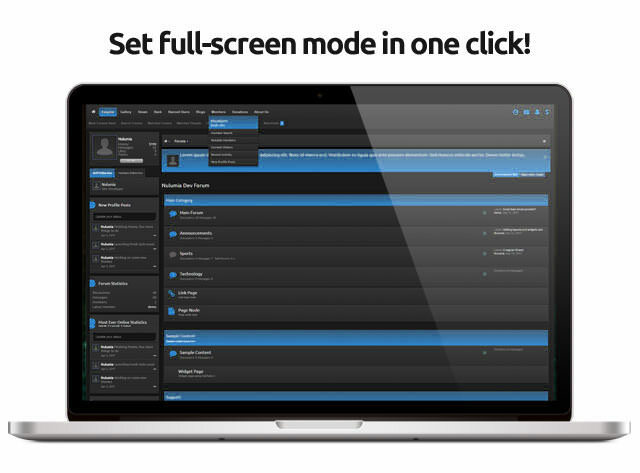 If you're familiar with my Xenforo 1 styles, DarkTabbed for Xenforo 2 brings many of the features you're used to using. However, keep in mind that not everything from the Xenforo 1 editions has made it to this release. Stay assured though that there's plenty in the works and even more features will be coming than those found in my XF1 styles! Choose From 8 Color Presets! Sidebar settings – hide, left/right, and more coming soon! 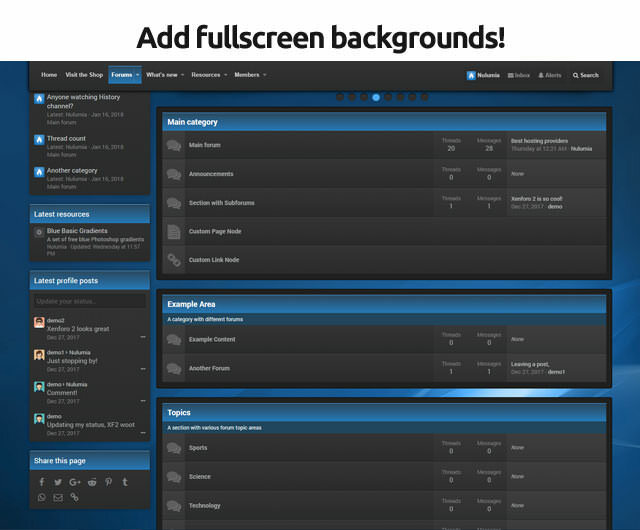 Add fullscreen background wallpapers or use a slideshow background with up to five images! 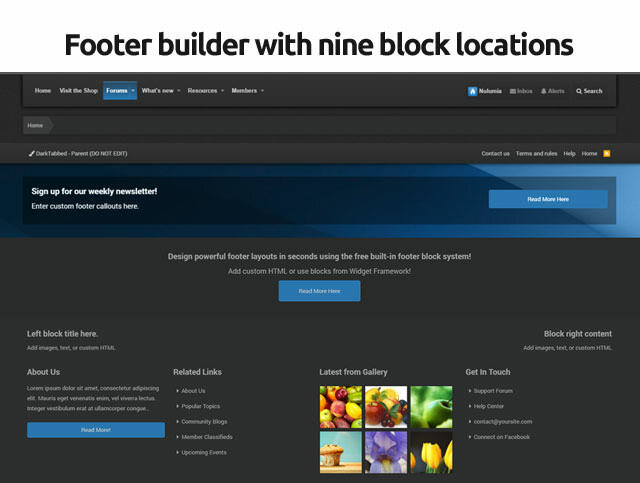 Footer block system – build professional footers with up to ten block locations – includes parallax rows, HTML content and more! Take full control of the footer layout with custom Style Properties. Don’t have a slideshow plugin? No Problem. NulumiaSlider is our new exclusive free slideshow feature based on the popular FlexSlider 2 plugin! NulumiaSlider is included in all our premium themes and is a breeze to setup! 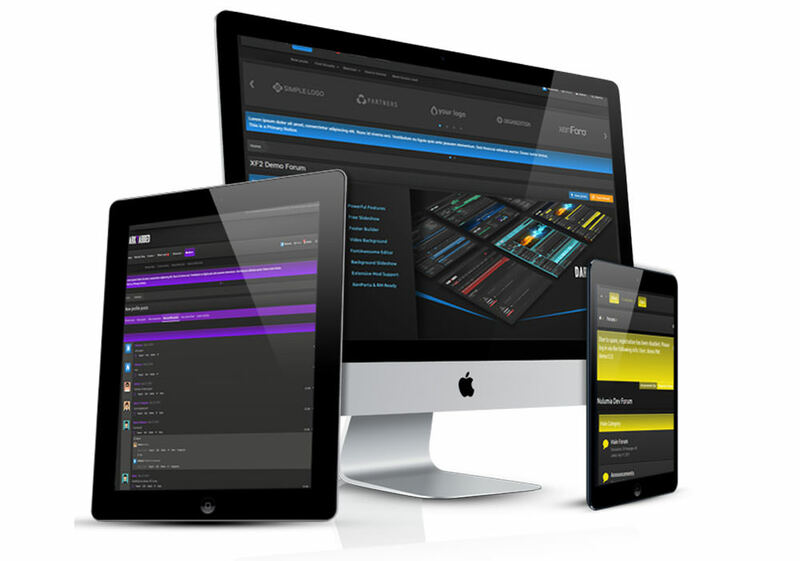 No need to install and manage plugins, our slider is unique in that it runs 100% on Xenforo Style Properties, making adding and managing slides a simple and fast process!